Peter Mac researchers have received a major funding boost ($5.4m) for two new clinical trials of a game-changing radioactive molecule purpose made to kill prostate cancer cells. The Commonwealth Government and Movember Foundation this week announced a co-investment of $4 million to advance a new targeted therapy pioneered at the Peter MacCallum Cancer Centre called PSMA Theranostics. To date this treatment has only been studied as a “last line” of therapy after standard options have been exhausted but this new funding will enable the treatment to be used as an upfront therapy and hopefully extend the lives of men with prostate cancer. The team leading the research involves clinicians and researchers from Peter MacCallum Cancer Centre, in collaboration with colleagues from Monash University, the University of Melbourne, and interstate collaborators at Queensland University of Technology and Sir Charles Gairdner Hospital in Western Australia. In a proof of concept study published last year, LuPSMA was able to achieve striking results in men who had exhausted conventional treatment options. 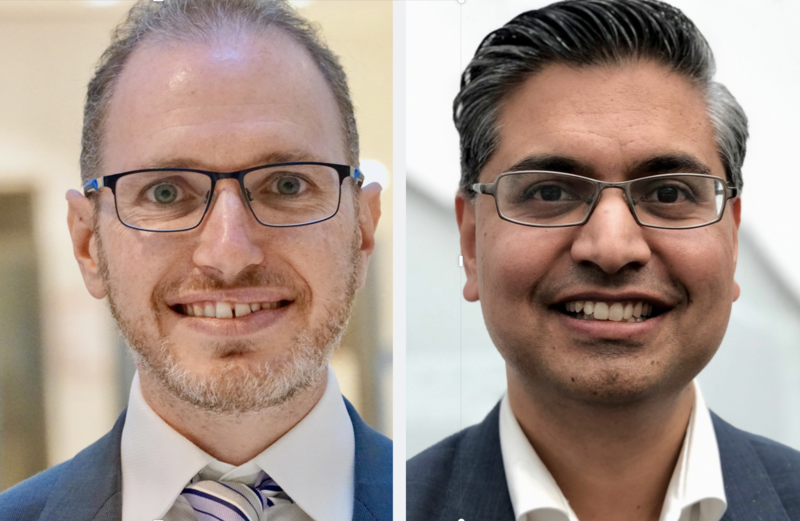 Peter Mac and University of Melbourne’s Professor Michael Hofman, joint leader of the Upfront PSMA Alliance with Associate Professor Arun Azad, said this funding allows investigators to embark on two world-first clinical trials with Lutetium PSMA. “This is a very exciting day for prostate cancer research in Australia,” Dr Hofman said. A/Prof Azad said the new clinical trials could be a game-changer for the standard-of-care for prostate cancer patients across the globe. “This will be the first study to evaluate whether the excellent responses we have seen with LuPSMA in men with much more advanced prostate cancer can be replicated in men with less advanced cancer,” Prof Azad said. Peter Mac patient Barry Elderfield, who responded favourably to LuPSMA treatment in the original pilot study, said this new funding was a very exciting development. “These new clinical trials will cover an area of research that is extremely necessary. I’m excited to bits,” Mr Elderfield said. Reduced cancer activity observed in six men involved in the Peter Mac LuPSMA proof of concept study . Red dots indicate sites of prostate cancer before (left side) and after treatment with LuPSMA (right side). Professor Declan Murphy, Director of Genitourinary Oncology at Peter Mac, and a co-investigator, said clinicians were excited about the game-changing treatment options these trials could provide for patients. “Peter Mac and Australia are leaders in this field and this study will for the first time anywhere in the world, allow men with high-risk prostate cancer the opportunity to receive Lutetium PSMA therapy prior to surgery or hormonal therapy,” Prof Murphy said. The grant, provided by the Movember Foundation and Cancer Australia, is further supplemented by an additional $1.4m of leveraged support from the Peter MacCallum Cancer Foundation, the University of Melbourne, Victorian Cancer Agency, Monash University, and the EJ Whitten Prostate Cancer Research Centre at Epworth Healthcare. It is also enabled by support from industry partners Endocyte and ANSTO. The funding is part of a $12m research investment by the Movember Foundation and Cancer Australia, to fund three prostate cancer research alliance teams across Australia. The first patients are expected to be enrolled before the end of 2019. Aim 1: A randomised phase II multi-centre trial of 177Lu-PSMA + Androgen Deprivation Therapy (ADT) followed by standard-of-care Docetaxel in comparison to standard-of-care alone (ADT + Docetaxel). This study will offer 177Lu-PSMA to men with newly diagnosed metastatic prostate cancer in a randomised trial. This is the first such study to evaluate whether the excellent responses we have seen with 177Lu-PSMA in men with much more advanced prostate cancer, can be replicated in men with less advanced cancer. Aim 2: A phase 2 trial of neoadjuvant 177Lu-PSMA radionuclide therapy prior to radical prostatectomy in men with high-risk localised prostate cancer – the LuTectomy study. Men with high-risk cancer confined to the prostate are at high risk of recurrence following surgery or radiotherapy. In the LuTetcomy study, we will offer men with high activity on a PSMA PET/CT, a single cycle of LuPSMA a few weeks prior to surgery. We will then repeat their PSMA PET/CT prior to prostatectomy to determine if this is a successful strategy and will reducd recurrence rates. Aim 3: A scientific study to determine if CAR T-cells targeting LeYantigen will exhibit anti-tumour activity in pre-clinical prostate cancer models not expressing PSMA.This scientific study will address the unmet needs of patients whose cancer does not express PSMA, by evaluating whether CAR-T cells may have anti-cancer activity in these tumours.